There are four categories of areas defined by the Clean Water Act as in need of protection. These areas are called “vulnerable areas”. 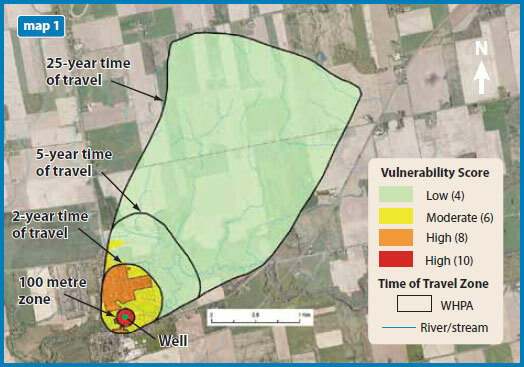 A Wellhead Protection Area (WHPA) is the surface and underground area around a municipal water well or well field. Wells draw water from underground areas, called aquifers, where water fills cracks in bedrock or spaces between grains of sand, gravel or soil. 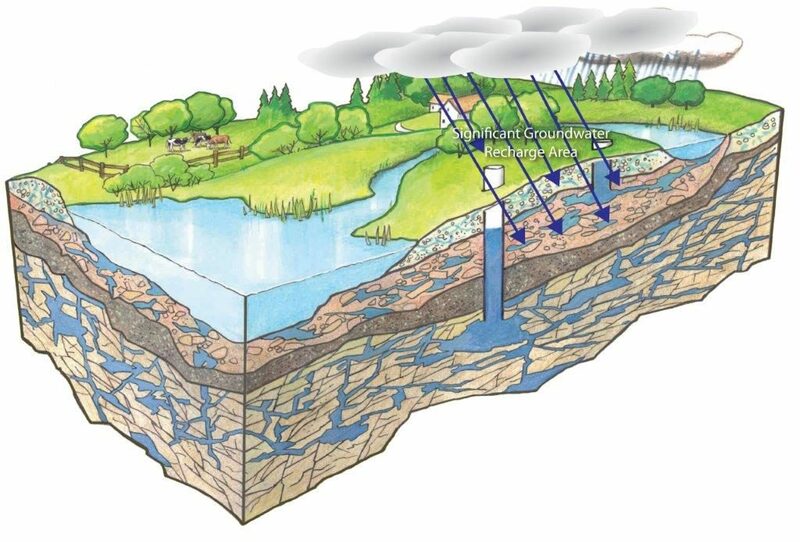 Aquifers are replenished when water from rain and melting snow soaks into the ground. Sometimes, the water can carry pollutants. It can take years, or even decades, for water to reach a well. The speed depends on the characteristics of the soil and bedrock in the area. 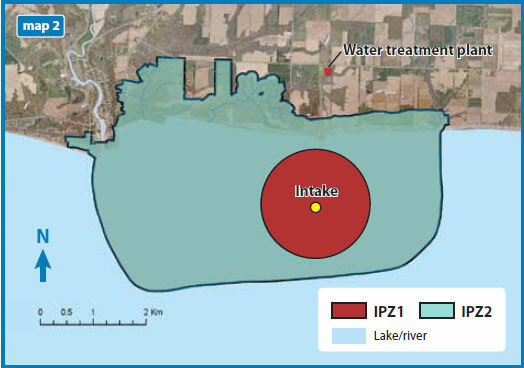 An Intake Protection Zone (IPZ) is the area of land and water immediately surrounding a surface water intake. It indicates the areas where dangerous materials may get to an intake so quickly that operators of the municipal water treatment plant may not have enough time to shut down the intake before the pollutant reaches it. River and lake intakes can be contaminated when dangerous materials are spilled into the water or on nearby land. A Significant Groundwater Recharge Area (SGRA) is the area where an aquifer is replenished when rain and snow fall and seep into the ground. The most obvious recharge areas are moraines such as the Oak Ridges Moraine or the Oro Moraine. 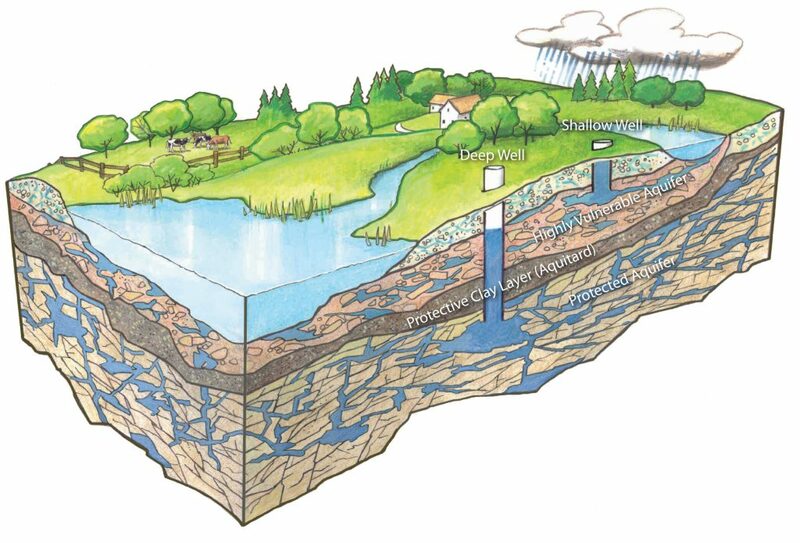 An aquifer is an underground layer of water-bearing permeable rock, rock fractures or unconsolidated materials (gravel, sand, or silt) from which groundwater can be extracted using a water well. Underground aquifers are sources of our drinking water. Some are deep in the earth (hundreds of feet) and some are closer to the surface. An aquifer is considered highly vulnerable if it can be easily exposed to contamination from human activities or natural processes.